My favorite yard sale find of this summer was a vintage 1970s Hasbro Inchworm ride-on toy. I had one of these as a child, and it was one of my most loved toys. 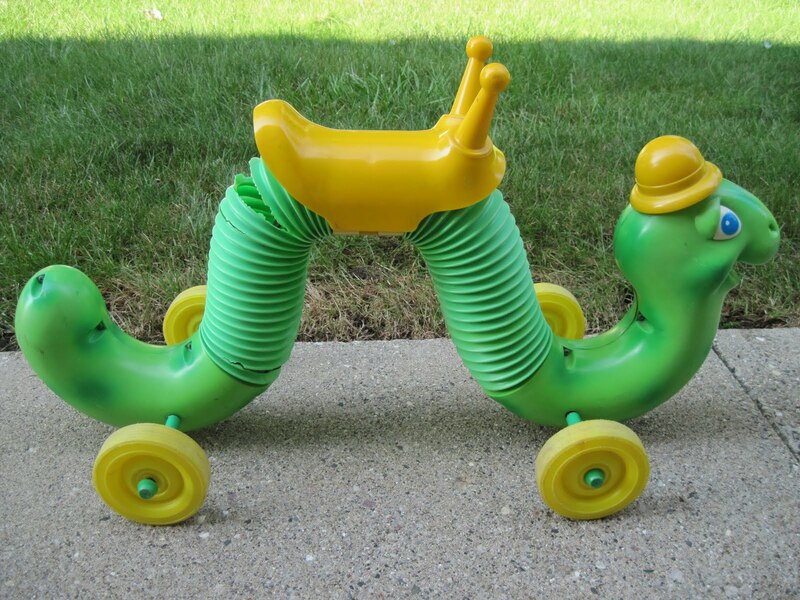 As the rider propels it along, the Inchworm bounces up and down on its accordion-style body...eventually producing the sort of damage seen in this example. Their fragility makes vintage Inchworms scarce, and they are much sought after. I've seen them reach prices of $300+ on eBay during particularly desperate bidding wars. Glad I held out: this one was just $5 at a Yard Sale Trail flea market! How cute is he? Super-cute. How entirely adorable, I'm singing the inch-worm theme song and I didn't even watch the commercial yet. Wow! What a great find. I loved that toy! Who knows where mine went. Thanks for the memories! 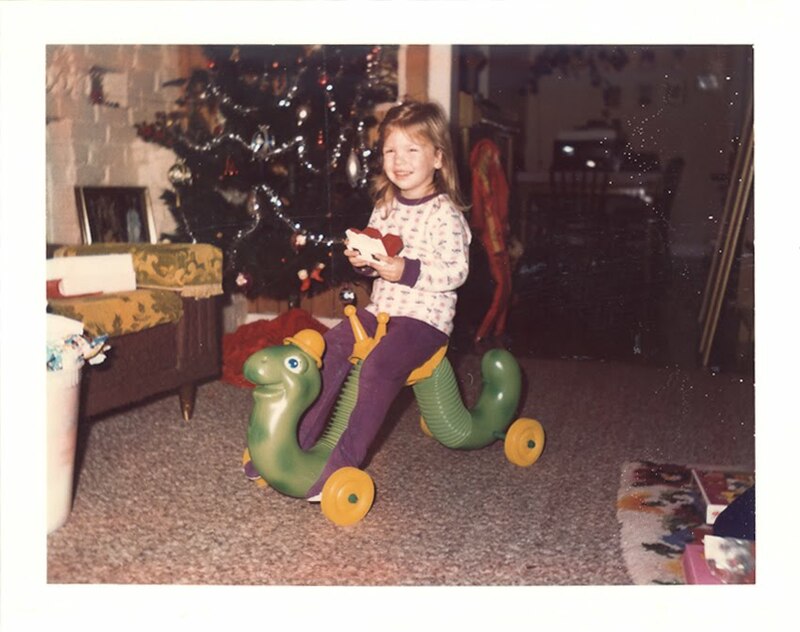 I remember wanting one soooo bad! You're so lucky to find one in such great shape and for such a low price! Congratulations! Darren wants to know if you rode it yet?! hahahaha. 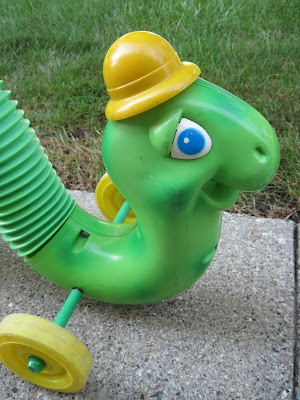 I have one of these inch worms on the top shelf in my garage. Maybe I should get it down and offer it up on eBay.